What if you or your spouse lives to a very ripe old age – to 90, 95, or even 100? 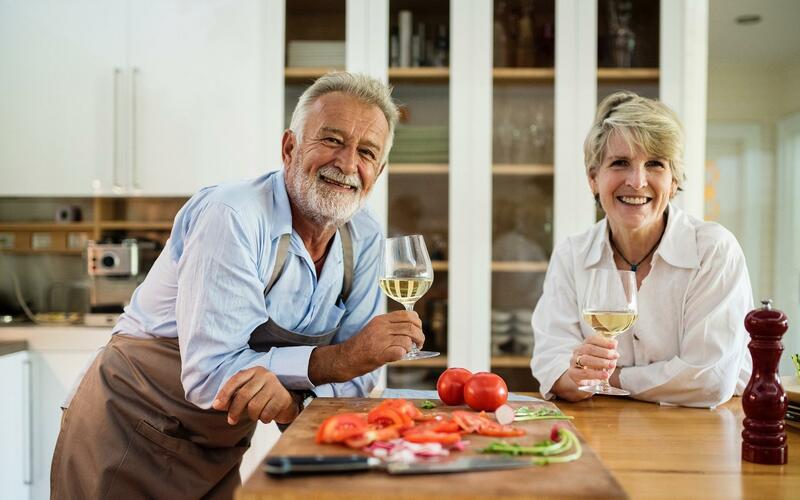 The key to having enough income in your old age is to maximize the higher-earning spouse’s benefit. This can be done by having the higher-earning spouse delay the start of benefits to age 70. Survivor planning is one of the most important aspects of Savvy Social Security Planning. It starts with the basic understanding that if both spouses are receiving Social Security and one spouse dies, the surviving spouse starts receiving the higher of the two benefits and the other benefit stops. Let’s say Jack and Jill are both 62 and married. Jack’s primary insurance amount (PIA) is $2,200. This is the amount he would receive if he starts Social Security at his full retirement age of 66. If he starts Social Security early, his benefit would be 75% of $2,200, or $1,650. If he delays the start of benefits to age 70, his benefit would be 132% of $2,200, or $2,904. If Jack were to die after starting benefits at 62, Jill’s survivor benefit would be about 82.5% of Jack’s PIA, or $1,815; this is the special minimum for survivor benefits when the primary worker started benefits at 62. So let’s ask Jill: if Jack were to die and you were to take over his benefit amount as your survivor benefit, would you rather have a monthly income of $1,815 or $2,904? As if that weren’t easy enough to discern, we could make the difference even more dramatic by escalating the benefit amounts by 2% annual cost-of-living adjustments, or COLAs. If we do this, and if Jack dies at age 85, Jill’s survivor benefit will be $2,862 if Jack files for Social Security at 62, or $4,579 if he delays the start of his benefit to 70. Instead of asking, “what will happen if I die too soon,” you ask, “what will happen if one of us lives too long?” And then you maximize Social Security income in case that happens. As we know, one key way to maximize Social Security income in old age is to delay the start of benefits to age 70. That’s how you “buy” longevity protection through Social Security. Now let’s see what the “cost” of this insurance might be. By delaying benefits to age 70, Jack is forgoing eight years worth of benefits, from age 62 to 70. The worst-case scenario from an insurance standpoint – that is, the scenario that would cost the most money and provide the least payout – would be for both Jack and Jill to get hit by a bus when they are 70. If this were to happen, they would have foregone eight years worth of income and received no benefit whatsoever. But for every year they live past age 70, the less the insurance “costs” them, until they reach the breakeven age of about 78, after which they will have recouped all of their costs and are now getting the insurance protection for free. So unlike most insurance policies, which cost more over time (think of all the fire insurance premiums you pay without your house ever burning down), Social Security actually costs less over time as the value of delaying benefits catches up to and overtakes the value of starting benefits early. Reed Financial Planning Services, LLC is here to help you and your family with your planning needs. Reach out to us today if we can be of any assistance to you. Copyright © 2018 by Horsesmouth, LLC. All rights reserved.